Dr. Adam Bolton is the Acting Deputy Director of the National Optical Astronomy Observatory (NOAO) in Tucson, AZ. He is also NOAO’s Associate Director for the Community Science and Data Center (CSDC), where he oversees NOAO’s initiatives in support of data-intensive astronomy, including the NOAO Data Lab and the ANTARES event-broker project. Before coming to NOAO in 2015, Dr. Bolton was on the faculty of the Department of Physics and Astronomy at the University of Utah. While at the U. of Utah, he served as Principal Data Scientist for the Sloan Digital Sky Survey (SDSS), and led the establishment of the SDSS Science Archive Server system at the University’s Center for High-Performance Computing (CHPC). 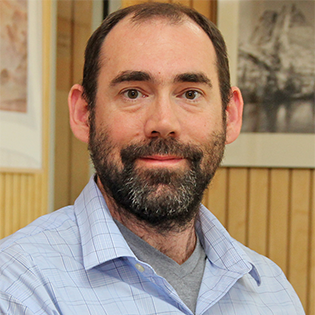 Dr. Bolton’s research interests are in observational cosmology, galaxy structure and evolution, gravitational lensing, and advanced algorithms and statistics for astronomical data analysis. He is a member of the Dark Energy Spectroscopic Instrument (DESI) collaboration, which is deploying a 5,000-fiber survey spectrograph to the 4-meter Mayall Telescope at Kitt Peak National Observatory to generate the largest-ever three-dimensional map of the Universe. Dr. Bolton holds a B.A. in Physics from San Francisco State University and a Ph.D. in Physics from the Massachusetts Institute of Technology, and held postdoctoral fellowships at the Harvard-Smithsonian Center for Astrophysics and the University of Hawaii’s Institute for Astronomy.